← Daz does 40K! 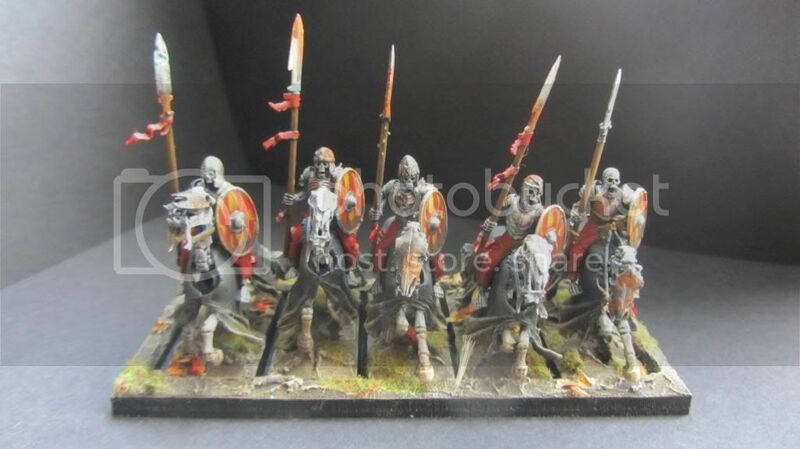 – The start of the Red Scorpions. 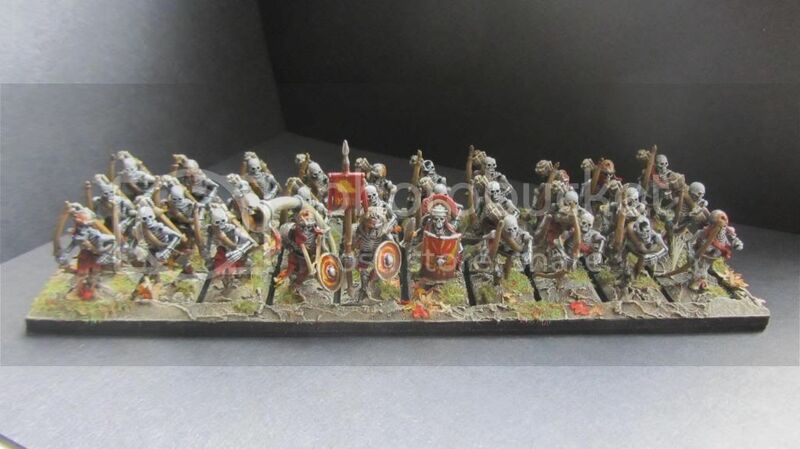 I’m there, it’s done, the army is now complete and ready to get taken off at #AGOMXII. 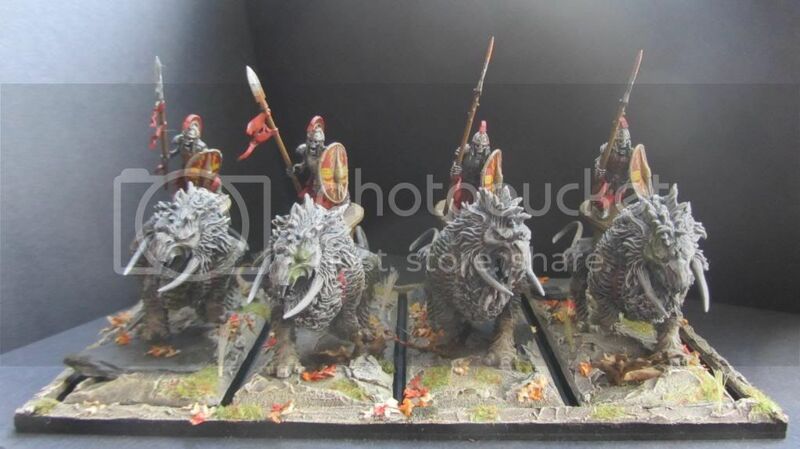 This will be my final post before AGOM next weekend but will not be the last. I plan on doing a post once I have been to the event to give my review on my games, and experiences at my very first event. 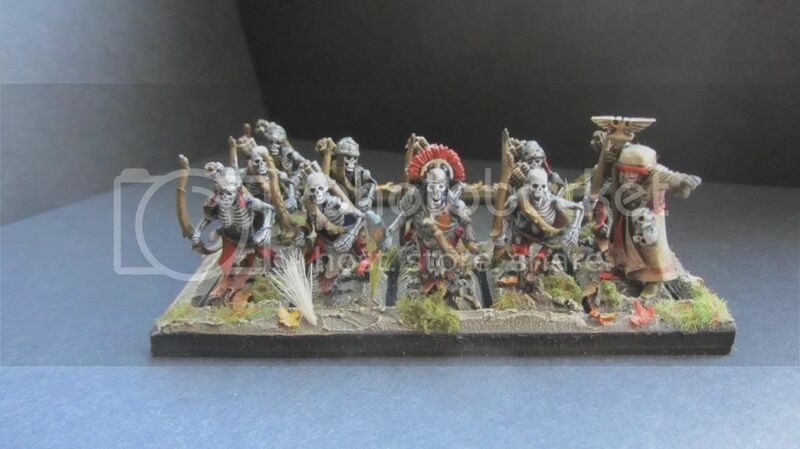 Firstly is the unit of Tomb Guard, they are joined by a “Liche Priest” and a “Tomb Prince”. Next is my “big” unit of archers. 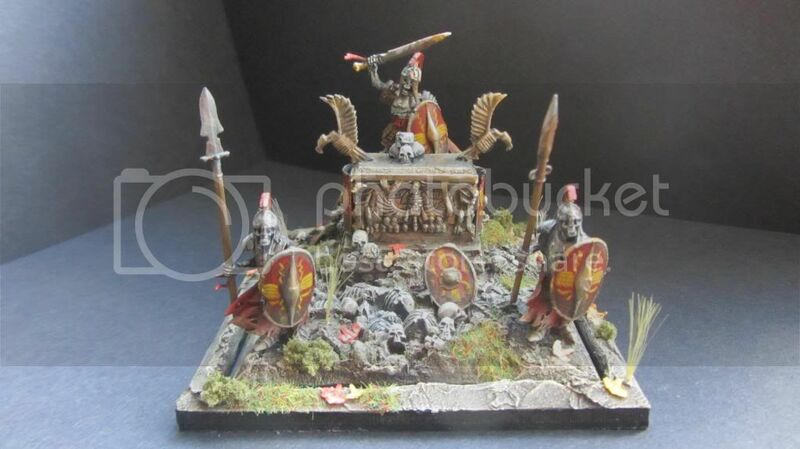 The awesome casket of souls. The small unit of archers accompanied by another “Liche Priest”. 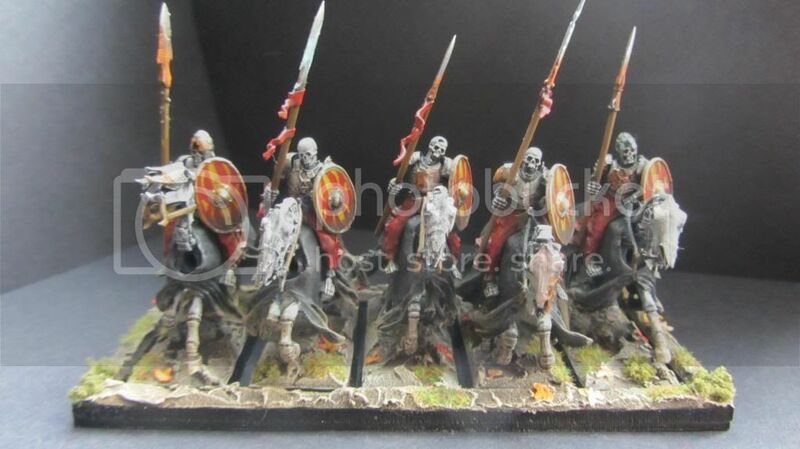 My 2 units of Skeleton Horsemen, just because no one uses them ;). 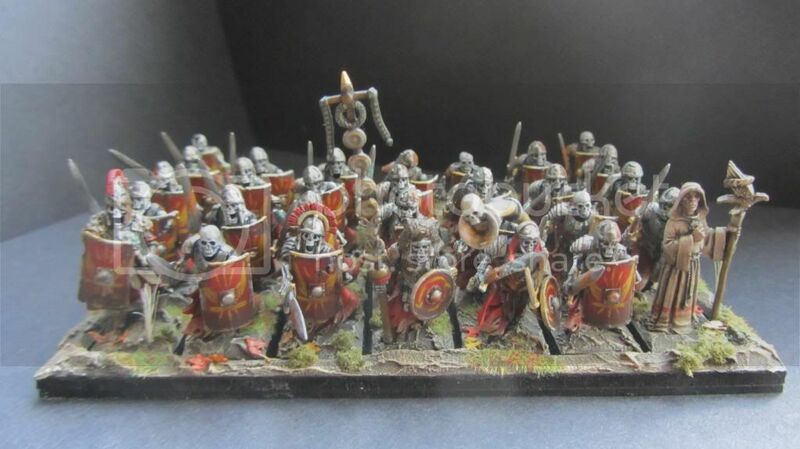 Then my favourite unit in the army, the “Necropolis Knights”. I’m getting really excited now, only 5 days to go, and cannot wait. I will be going to Stockport on Friday the 21st and hope to be there for around 3/4pm, so if your a loser like me and will be there early let me know, let’s go for a beer, chat, maybe have a game, etc. See you there. Thanks for reading, if you have any questions or feedback, don’t hesitate to ask. This entry was posted in The 13th Legion- Andy's "Roman" Tomb Kings, Tomb Kings, Tournaments, Warhammer Fantasy and tagged A Gathering of Might, AGOM, AGOMXII, casket of souls, converted, fantasy, Liche Priest, necropolis knight, podcast tournament, skeleton, tomb kings, tomb prince, warhammer, warhammer army, warhammer fantasy, whfb. Bookmark the permalink. Wow what a lovely army, love your conversions, looking forward to competing against you for best in race :), also I’m a member of the north west warriors ( who run AGOM ) and I know you will love agom next week, Adam,Steve and Towney do a brilliant job, I’ve been to a few tourneys and I still think agoms are the best. You couldn’t have picked a better environment to start your tourney experiences. Good luck with both best in race and best painted.